I was in Kenya when it first hit me. I should have picked up on it WAY before this, but I had some interactions with a few of my “business school” students that made me rethink why I was there. Let me step back for a moment first. You need to understand something about me. I was becoming extremely active in ministry at the church, because that’s what it means to be a serious Christian, right? The more involved you are, then the more it shows how much you love Jesus, right? Heck, I preached about being a world-changer to our church’s 20-somethings for years! I challenged them to go and DO more things for Christ. That’s how the world will know. That’s how we’ll change lives, and transform communities. Now let’s fast forward to my poverty-fighting trip to Kenya. One of the interactions that rocked me was with a woman who told me how much she identified with an example in one of my lessons. She told me how much she learned, and how she is now going to do things different in her business after learning these practices. Knowing how simple the concepts are in this business skills training for microloan recipients, this conversation was going far deeper. It was when I started telling her that I believed in her, and that I knew she could do it, THAT’S when I saw her whole countenance change. SHE believed it now. And that’s when it hit me. One of the most important reasons I was in Africa was to sit face-to-face with these people, look them in the eye, and tell them that I believed in them. I showed them love by coming to be with them and give them a confidence they couldn’t get on their own. The training was good and important, but it was THIS that made the difference. The hugs. The high-fives. The words of affirmation. Even to this day when I travel with Help One Now to Haiti, I make sure that I look one child in the eye and tell him how awesome/smart/special he is. I make sure that I take the time to tell the single dad who was hired to build a house that he’s doing great work (with the house and with his kid). It finally clicked for me that when Jesus says, “that you love one another,” He’s talking about all of those one-on-one moments with real people. With real people in Kenya. With real people in Haiti. With real people in Sarasota, FL. With real people in my workplace. With real people at the grocery store. First, I’ve got a new book coming out (on July 15th). 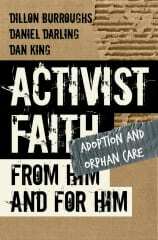 It’s called Activist Faith: From Him and For Him. 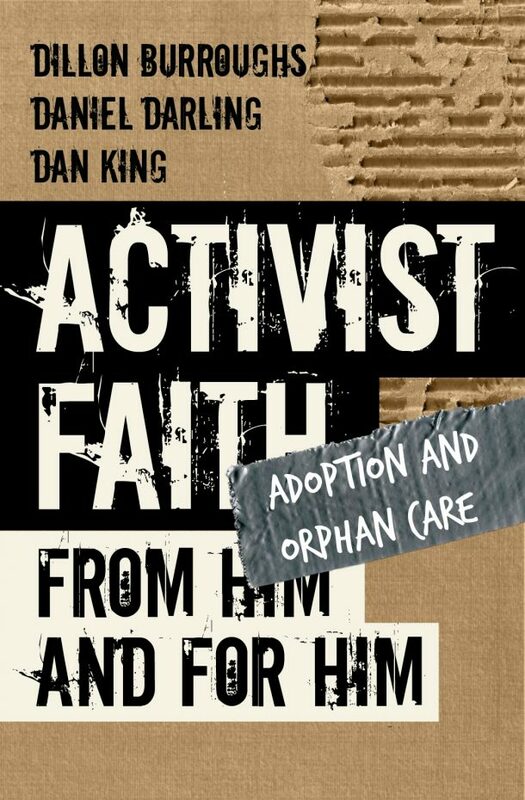 I wrote it with two other amazing guys with big hearts to see the church really change the world. And as I wrote my chapters for the book, I couldn’t help but to think about how it’s this love for one another that drives everything. It’s how we show the world our love for our Savior. 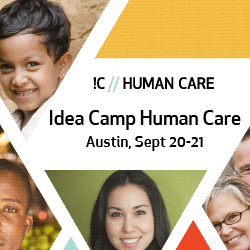 Second, I’m going to be a part of an exciting event in Austin, TX called The Idea Camp. This one is focused on Human Care. The conversations will be about how the church cares for people. It sounds a lot to me like how we define Jesus’ call, “that you love one another.” The Idea Camp tribe is one of the most passionate, dedicated groups of people I have ever met, and I know for certain that this event will send ripples literally around the world. If you can find a way to be in Austin on September 20-21, I promise you won’t regret it. I think you’ve captured God’s heart with this post. It’s all about the 1 on 1 sorta love that inspires, encourages, and offers hope. Anyway, thanks for this post. I don’t mean to sound trite, but it is just what I needed to read (& re-learn) after I spent a rather crapTastic week comparing my service to that of those around me. ick. Darlene! I’m really glad that this was timely for you! Don’t ever compare your service to those around you… that’s never a winning situation, often because we probably underestimate our own value to begin with. right back atcha with the fist bump. Such amazing, simple truth here, that often goes unrecognized. Yes—heart connections with people are what produce life-giving joy and motivation and encouragement! And it fosters true change and has the potential to really change the world. Good word!! Can I just tell you how happy it makes me to know that you’re here, on planet earth, spreading this good stuff around? Thanks for this reminder of the true heart of it all: loving one another. Best evangelistic tool I know. Wow… thanks Diana! And you’re SO right! It is the BEST evangelistic tool… ever.